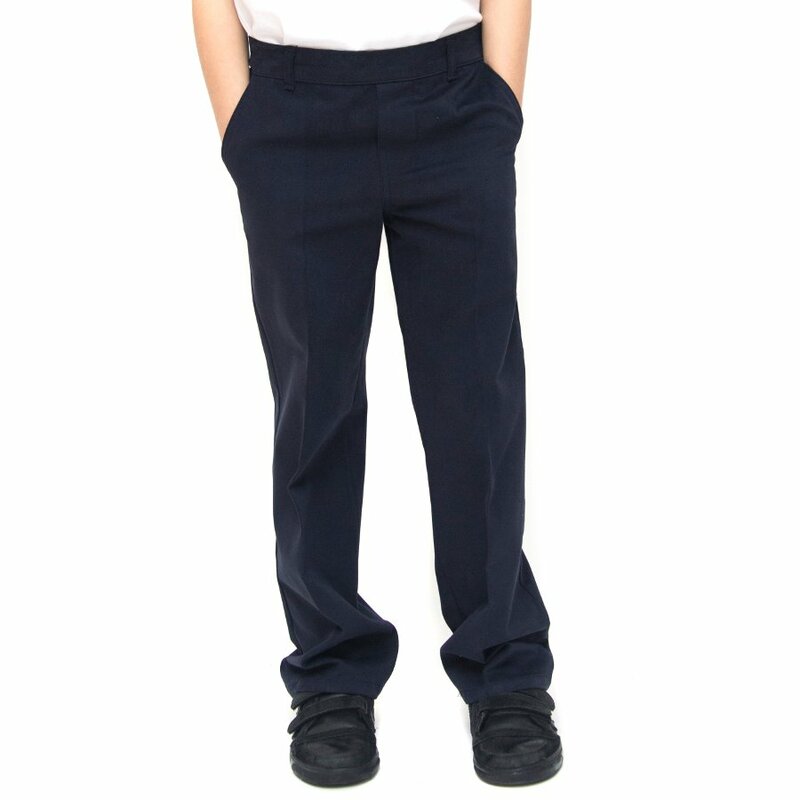 Straight leg, regular fit school trousers with 2 front side pockets, centre creases and belt loops are the traditional choice for boy’s school uniform. 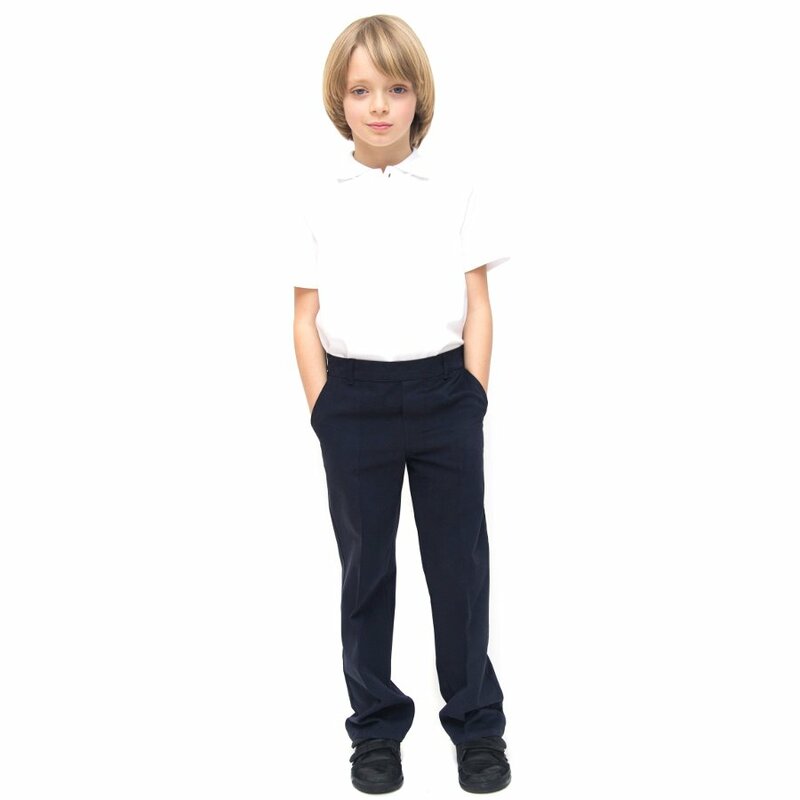 They are created using GOTS certified 100% organic cotton and the dyes used are all Azo free. 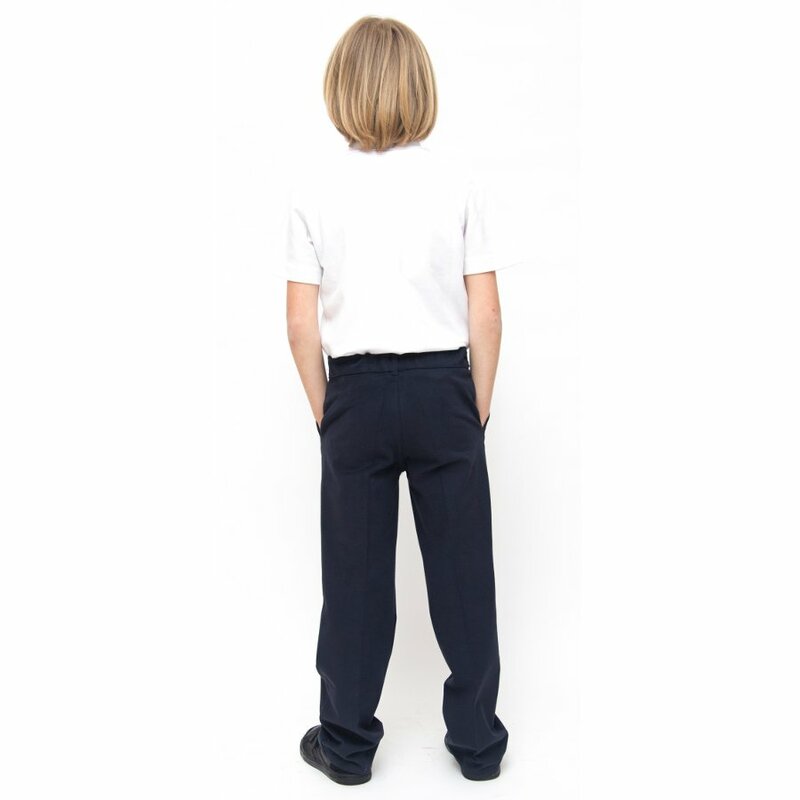 To make them longer lasting for your fast growing children, they also include a covered adjustable elasticated waistband. These trousers will decrease in size by 5% after they are washed for the 1st time at 30C, as no chemicals have been added to prevent this. They are cut more generously to allow for this decrease in size and will shrink to the size on the label once washed. 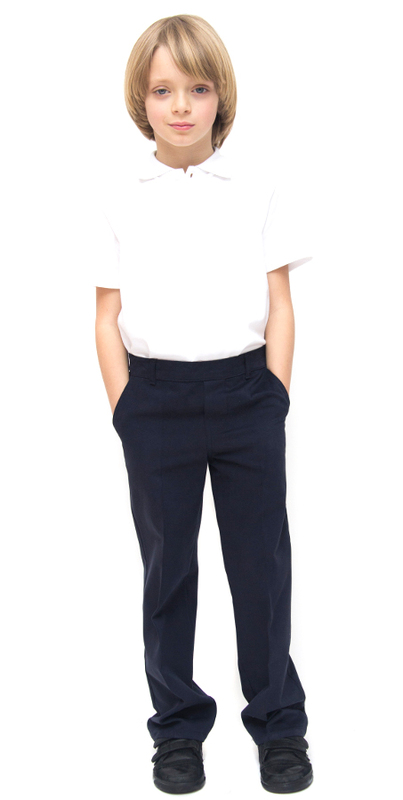 They are made from tough organic cotton which will get softer with every wash. 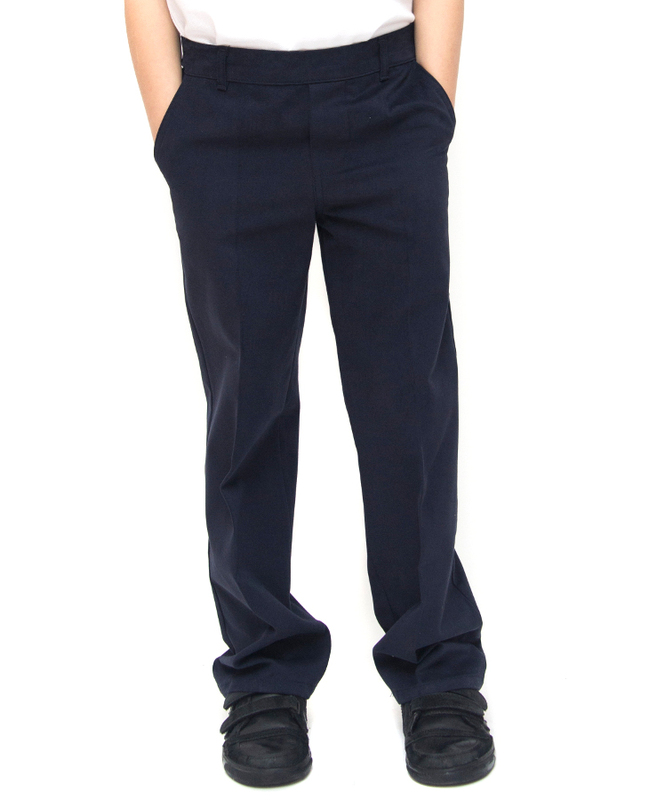 The Boys Classic Fit School Trousers With Adjustable Waist - Navy - Infant product ethics are indicated below. To learn more about these product ethics and to see related products, follow the links below.